Alliance Eternal is here, and it's brought a whole mess of events and items to look out for! Gear up for the Day of Darkness events, raid the Golden Temple, and check out the adorable Fennec Fox Pet and amazing sales! 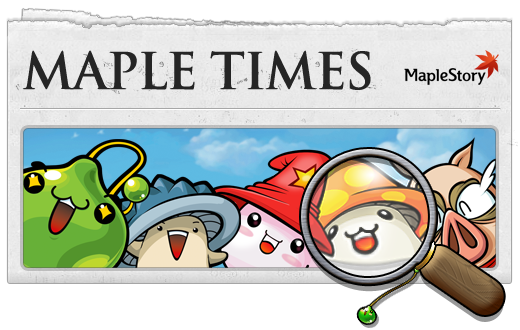 Stick with Maple Times for everything you need to know about MapleStory! There's darkness coming to the towns of Maple Worldand the GMs are bringing it! Check the schedule, and prepare for the invasion! It's time to gear up for the Alliance's finest hour! Train for the battles ahead with 2x EXP and drops every weekend for the next four weeks! Don't miss a single event during this spirited spring! Read on to find out when to get your Hyper Teleport Rock (it's today! ), make a new Legends character, battle the Pie Boss, and more! The Golden Temple is back again, and getting in is free! Don't miss this chance to soak up enhanced EXP and do battle with the mighty Ravana for a shot at his Epic helmet. Discover the secrets of the Golden Temple! Wondering what's new in Alliance Eternal? Read up on the changes to Explorers, Cygnus Knights, the Lion King's Castle, and more! There's a lot going on in MapleStory, and a lot more on the way. Check in with Michael to learn more about Mapler Appreciation events, Alliance Eternal, and the future of MapleStory. The Cash Shop is bursting with new items and deals! A new pet, deep discounts, and handy tools are all in and ready for you to enjoy. The fiery Crimson Nightmare mount has burned its way into our Gatchapons, along with a new chair, new cape, new scrolls, and more! See what you can get! Spring is the perfect time for a new look! Pick up a Royal Hair Coupon for a new do, and check out the new faces while you're at it! Day of Darkness GM events are the best opportunities to spy a GM and to fight monsters being spawned in town! Tell us about your favorite part of Day of Darkness! It's fun to kill high-leveled monsters along with high-leveled players. Also, the loots are awesome! Tommy N.